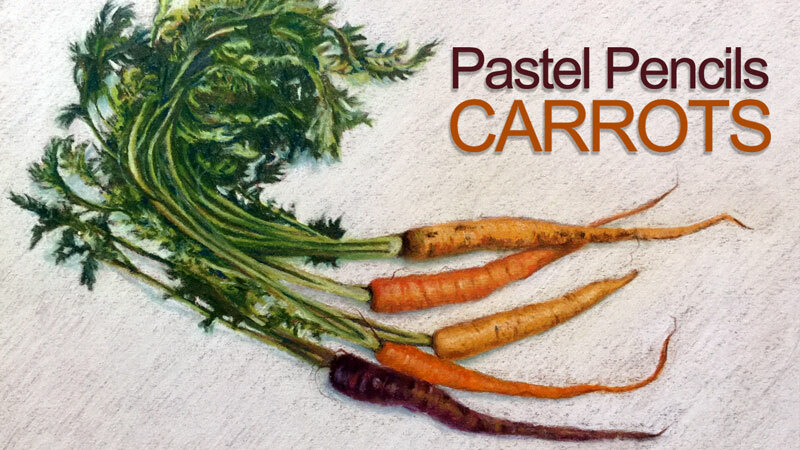 A four-part series on drawing a still life of organic carrots with pastel pencils. Colors are layered and slightly altered from the reference in order to create a more harmonious color relationship. The pros and cons of three different brands of pastel pencils are discussed as each step of the process is demonstrated and explained from start to finish. Four hours of instruction is included with this series. This sounds like you may be having an issue with connecting with a stable internet connection. The download links are working properly. In the future, send your technical issues using the contact form. The “Lesson Discussion” section is for asking questions and discussing the lesson. Thanks! Can you use any brand of pastel pencils?